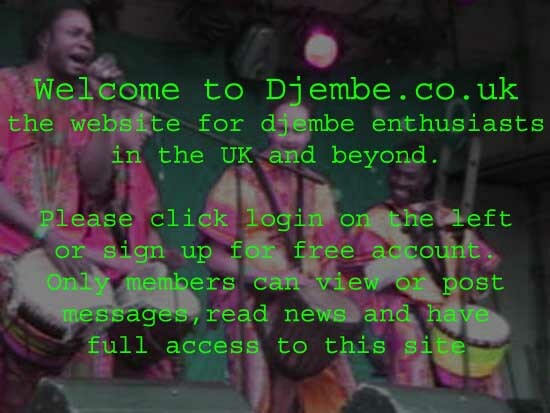 Come along to Djembe Frenzy for a fun energizing drumcircle in Bramley Surrey. Bi Monthly Thursdays in Bramley near Guildford 20th December onwards 8.00pm - 10.00pm. Cost �10.00 for 2 hours if you book all 4 weeks, or �15.00 if you want to drop in. Drums provided professional facilitator.